Vadim Alekseevich Gorbatov – painter, graphic artist, painter of book. His creative work is devoted to the world of animals and interrelations of man and wildlife. Reliability and convincingness of works of the Artist – result of personal impressions and hundreds of sketches in nature. Together with zoologists, cinematographers and hunters he visited the most diverse corners of Earth, from tundra of Siberia and Alaska to jungles of Cambodia and Ecuador. The name of Vadim Gorbatov is well-known not only in Russia, but also abroad. He is the only Russian artist, whose works are included in the book «300 years of Animalistic Art» and «Modern Animalistic Art», published in Great Britain. He is the only Russian participant of all artistic projects of Dutch Foundation «Artists for Nature Foundation», united many known animalists of the world. Vadim Gorbatov has a PhD in the Arts, he is a member of Russian Union of Artists and Union «Artists of Wild Nature» in Great Britain. Works of V.Gorbatov are kept in galleries, museums and private collections of many countries of the world. Vadim Alekseevich was born in the year 1940 in Moscow. He studied in Moscow Secondary School of the Arts. In 1965 he finished from Artistic-Industrial Academy named after Stroganov, where he was a student at faculty of Artistic Constructing and Industrial Design. Then he was PhD student, defended his dissertation and worked by teacher in «Stroganovka» and MVTU named after Bauman. Since 1970 Vadim Gorbatov works by artist at Central TV by Head of Group of Artists of the Main Editorial Board of Information, released the following programmes «Time», «News», «International Panorama» etc. At the same time the Artist begins to work for different Publishers. Returning to own previous hobbies and interests, he illustrates books on animals, wild nature, hunting. 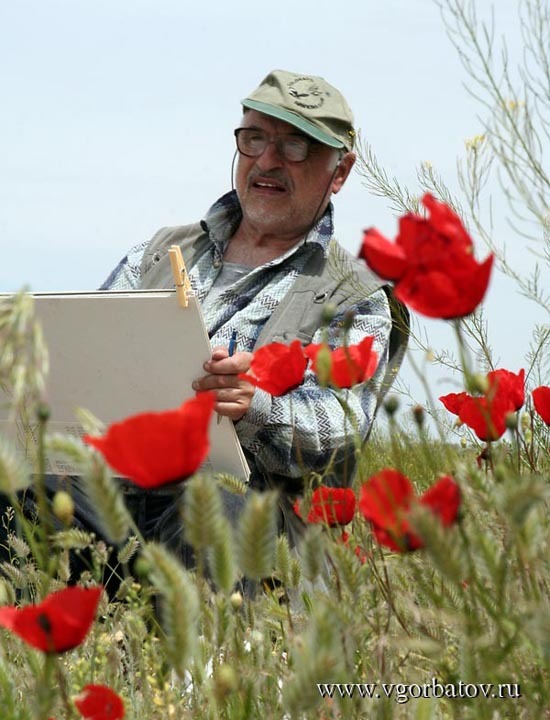 Together with zoologists he participates in different expeditions, making paintings. He has not enough time for everything and in the year 1987 the Artist leave work at television in order to devote entire time to the favourite art.